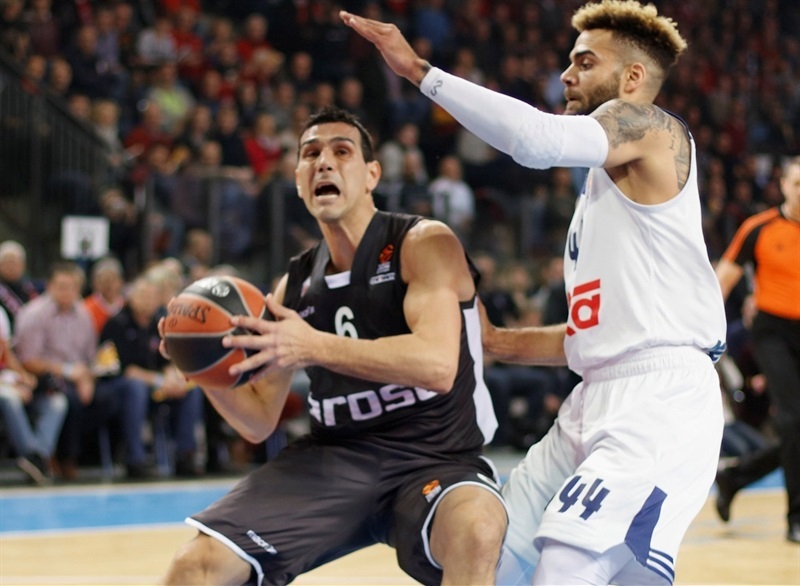 In a thriller that came went down to the final shot, Real Madrid grabbed its fourth consecutive win to move atop the standings by edging Brose Bamberg 89-91 in Nuernberg, Germany, on Wednesday. 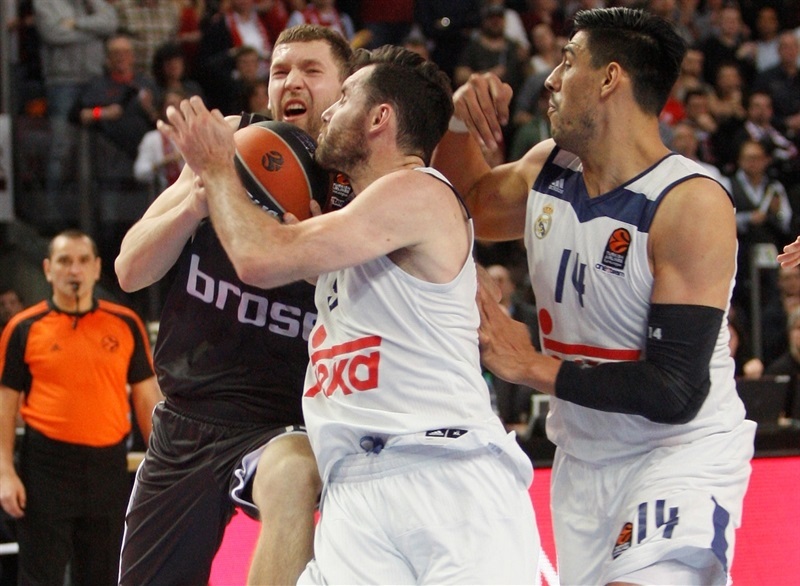 Madrid improved to 14-5 to match CSKA Moscow for first place, while Bamberg lost another heartbreaker to drop to 7-12. 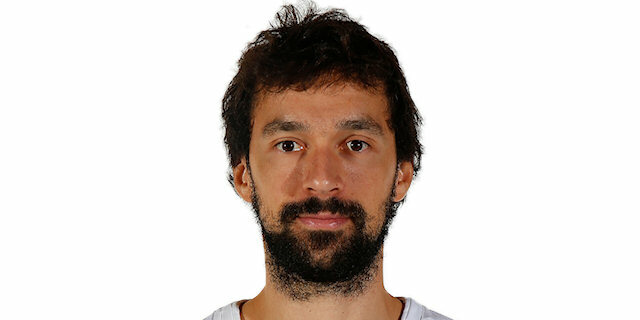 Sergio Llull led the winners with 26 points and once again became Madrid's hero by hitting the game-winning floater with 1.1 seconds left. 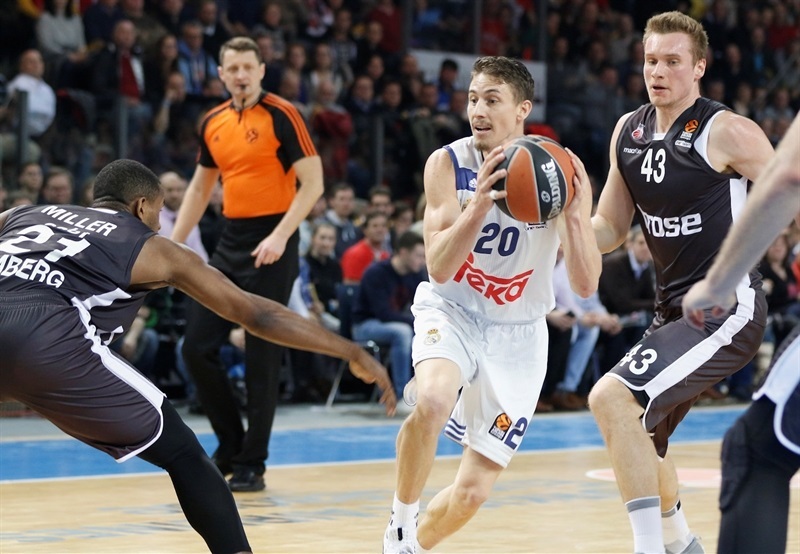 Jaycee Carroll added 24 points and Gustavo Ayon posted 16 points and 8 rebounds for Madrid. Fabien Causeur led Bamberg with 14 points, Darius Miller added 13, Daniel Theis had 12 on 6-of-6 two-point shooting, including 5 dunks, while Nicolo Melli and Leon Radosevic each contributed 11 points for the hosts. 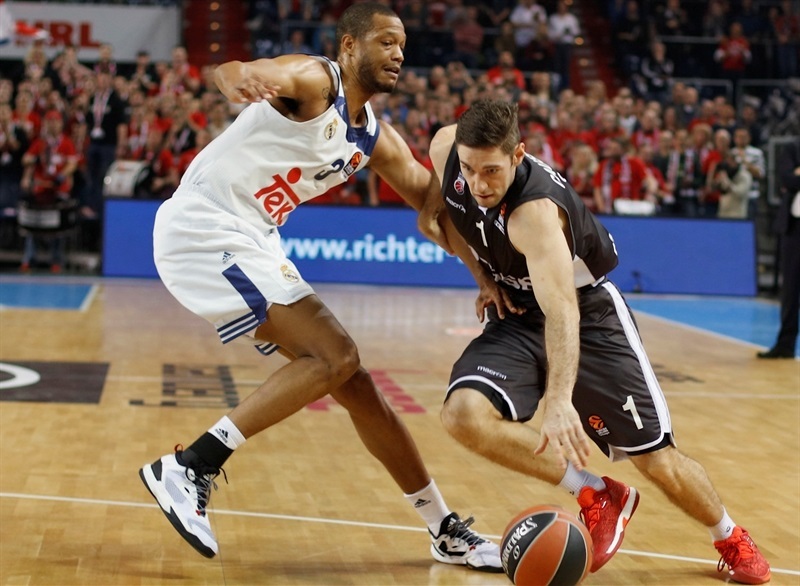 Madrid outrebounded Bamberg 26-40, including 16 offensive boards. Bamberg had a much better assist (20) to turnover (10) ratio, but dominating the boards allowed Madrid to finish the game with excellent two-point shooting percentage (61.4%, 27-of-44). 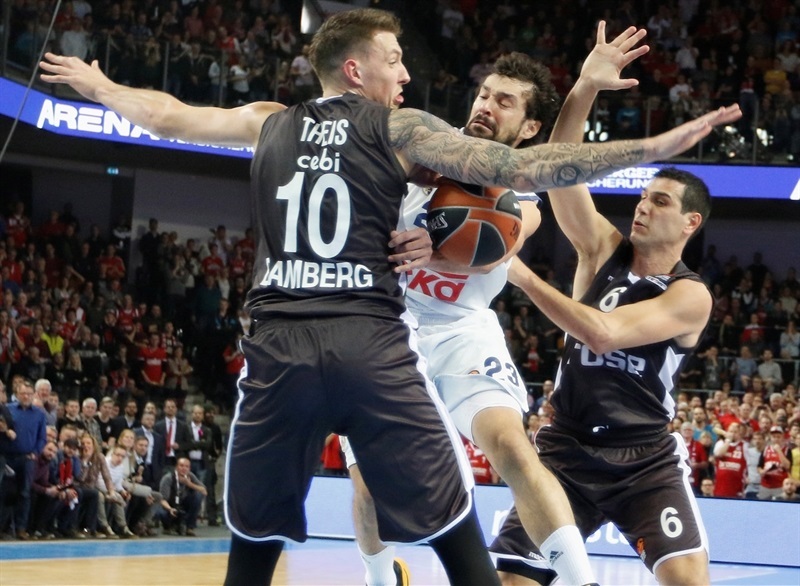 The game came down to the wire, as Bamberg rallied from a 5-point deficit in the final minute to tie it at 89-89 on free throws by Nikos Zisis, but Llull had the final word with a huge, off-balance, game-winning shot. Felipe Reyes and Llull stepped up early to give Madrid a 2-5 lead. 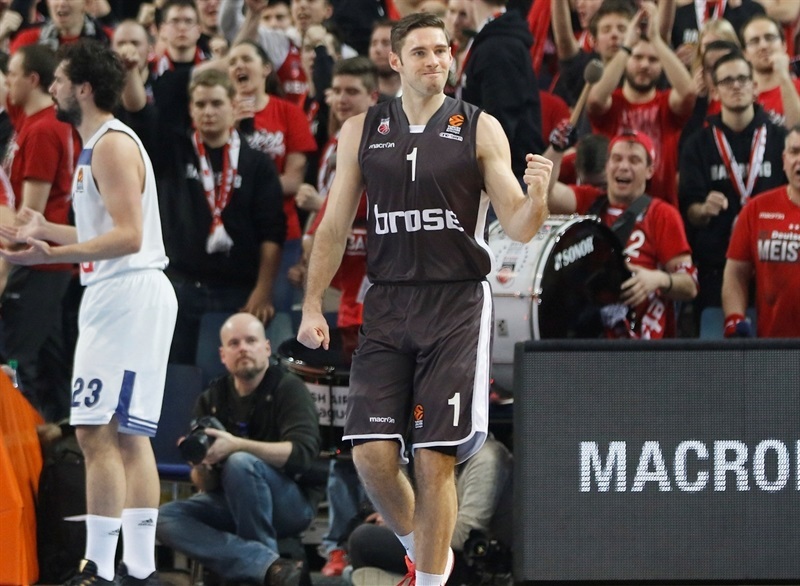 Causeur took over with a layup-plus-foul and Melli struck from downtown to give Bamberg its first lead, 8-7. 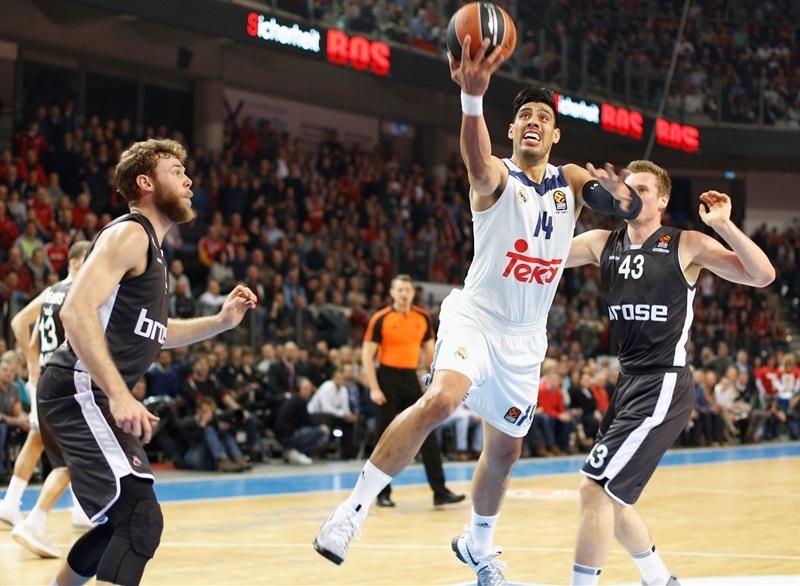 Ayon banked in a close shot, Rudy Fernandez nailed a jumper and free throws by Llull boosted Madrid's lead to 10-13. Miller hit back-to-back triples, Melli added a wild three-point play and Strelnieks gave Bamberg the lead, 21-19. 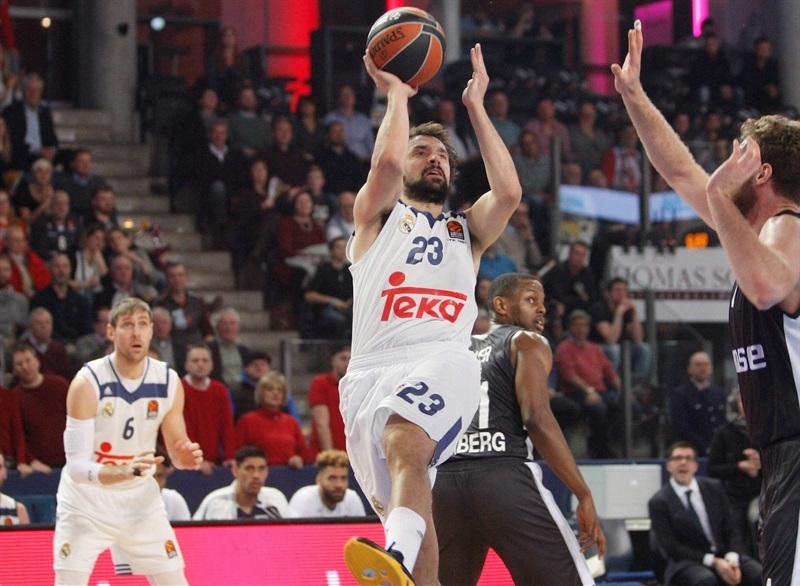 Llull and Fernandez nailed consecutive three-pointers for a 21-25 Madrid edge after 10 minutes. Theis dunked twice early in the second quarter and Strelnieks added consecutive three-pointers to help Bamberg tie the game at 34-34. Theis capped an 8-0 run with a jumper that prompted Madrid to call timeout. Madrid found a go-to guy in Carroll, who scored three times around the basket and twice from downtown - 12 points in less than four minutes. A three-pointer by Dontaye Draper made it a double-digit game, 41-51, but Miller and Melli brought Bamberg within 47-51 at halftime. Llull followed a driving layup with a mid-range jumper to keep Madrid ahead, 51-56, soon after the break. 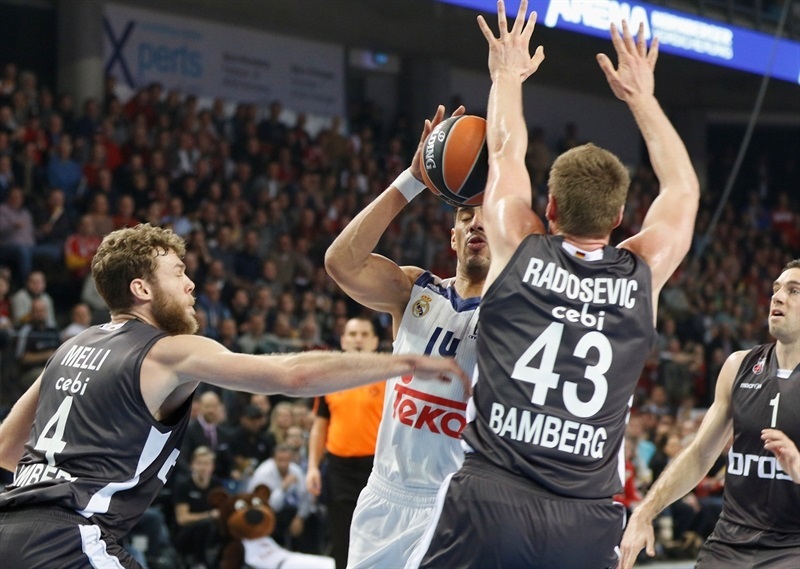 Radosevic hit free throws and three-pointers by Causeur and Melli put Bamberg back in charge, 59-58. Ayon took over with consecutive layups and got help from Reyes and Llull to give the guests a 64-68 edge. Free throws by Causeur and a three-pointer by Patrick Heckmann kept Bamberg close, 69-70, after 30 minutes. Theis ignited the crowd with back-to-back slams early in the fourth quarter, but Carroll and Trey Thompkins kept Madrid ahead. Carroll followed a bomb from downtown with a wild three-point play for an 80-81 Madrid edge with three minutes left. Carroll hit a jumper and Llull added a rainbow triple for an 82-87 Madrid lead. Theis dunked again and free throws by Strelnieks and Zisis tied it, 87-87, with 17.8 seconds left. Llull and Zisis exchanged free throws, as Madrid got the ball back with 8.9 seconds left. Llull banked in a one-handed floater in the lane and Strelnieks's 20-meter prayer bounced off the back rim, allowing Madrid to celebrate a road win at the end of an incredible basketball game! "We gave it all. We played great and competed great. We played against one of the best teams and had a chance to win. It was a big, physical fight and we tried, we came back, made big plays. There is a main reason why we lost, it is that we gave up 16 offensive rebounds. Against a team that creates you so many problems on defense, because you have to guard five stars, it is really hard to play another defense when you stop them and you don't grab the rebound." "First, I want to congratulate my players for the victory. Second, I think we saw a great game of basketball, very tight, every player fighting for every ball, for every rebound. It was a great game of basketball. I think the mental part was very important for us, knowing that we have a tough schedule this week. We knew how important and how necessary it was for us to stay focused and be ready for a tough game today. We did it and we got an important victory for us in the EuroLeague. 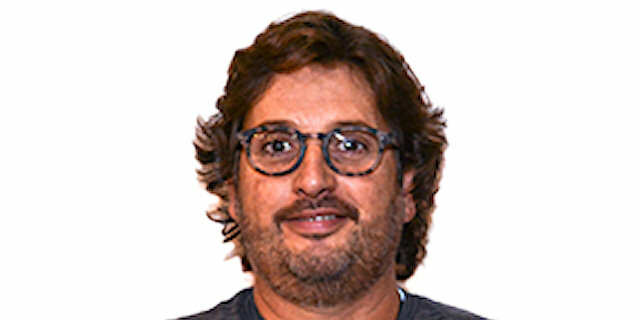 Of course, when you get that last shot, probably, Sergio [was the biggest key], but it was very important for us what Carroll gave us off the bench. Ayon was very solid underneath the baskets and the whole work of the team was important. 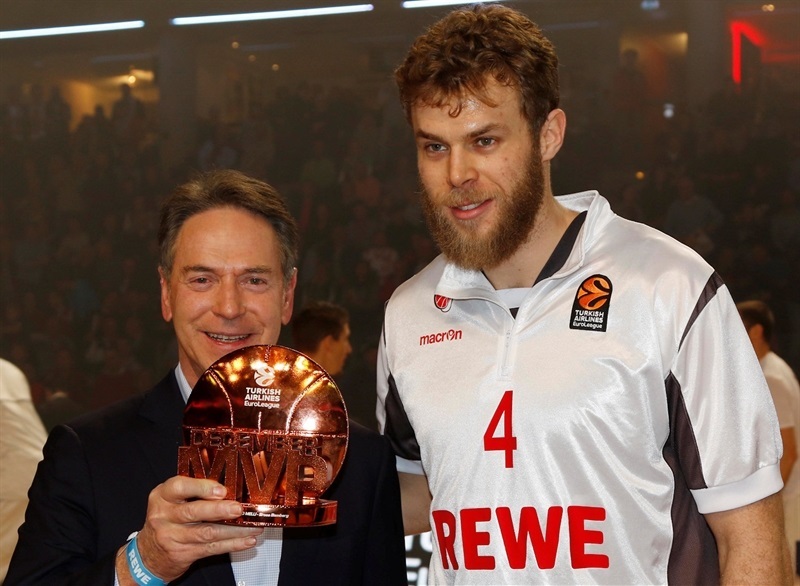 Bamberg is a team that moves the ball very well, with good shooters, and we were able to contest almost everything. In the end, we were able to stay in the game when we had to and when we had good moments, we couldn't close the game, but finally we got the last play until the end, because the shot by Strelnieks was close!" "We are very happy. It is an important win in a tough court against a team that is playing really well. It is an important win for us because it allows us to lead the standings. I think that we did a great job, everyone was focused and contributing to the team. We have to keep working and think about Milan."